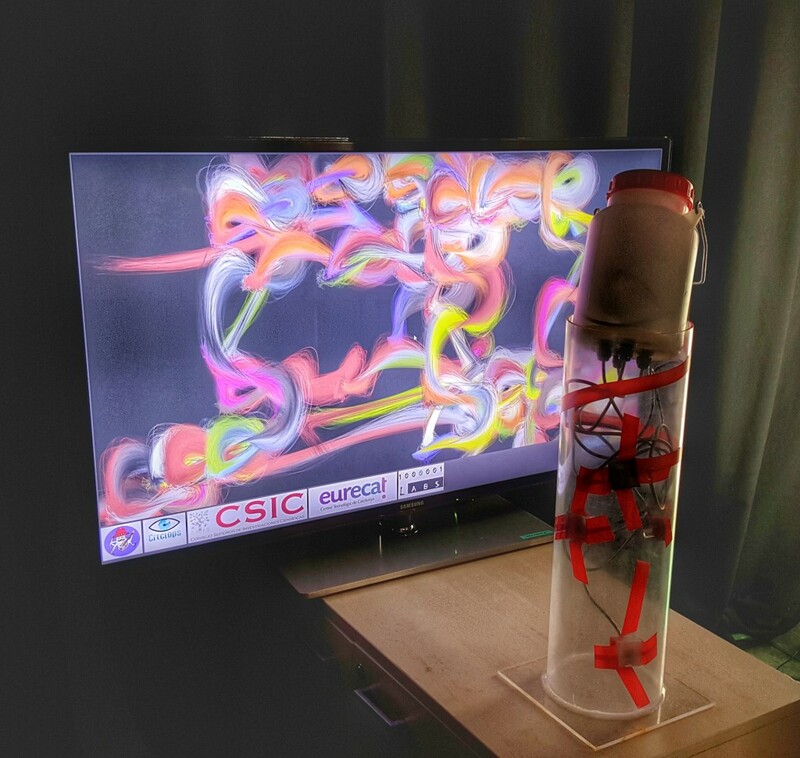 The “Musical Tentacle” is a project by Citclops, 1000001 Labs, CSIC, Eurecat, and thethings.iO to create sound from and artistically express scientific data used to measure the transparency of the sea water. It uses the KdUINO a low-cost Arduino-based buoy from the Citclops project designed for the monitoring of natural-water quality, which environmental-science grad students and do-it-yourself sea enthusiasts can build. 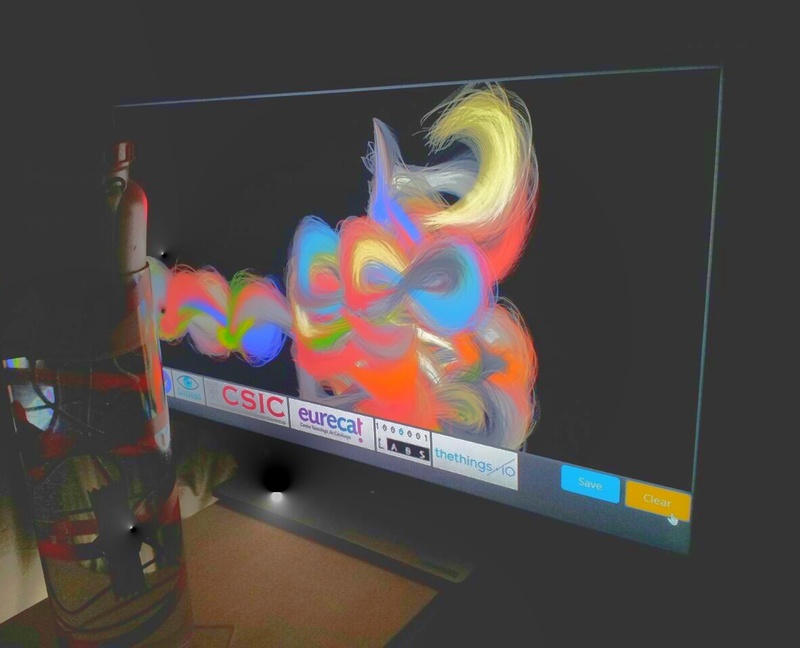 Thanks to a combination of several factors (the real-time component of the monitoring, the participation of the citizens, the development and implementation in existing low-cost prototypes) Musical Tentacle offers a unique opportunity to audio-visually experience variations in the transparency of our seas. 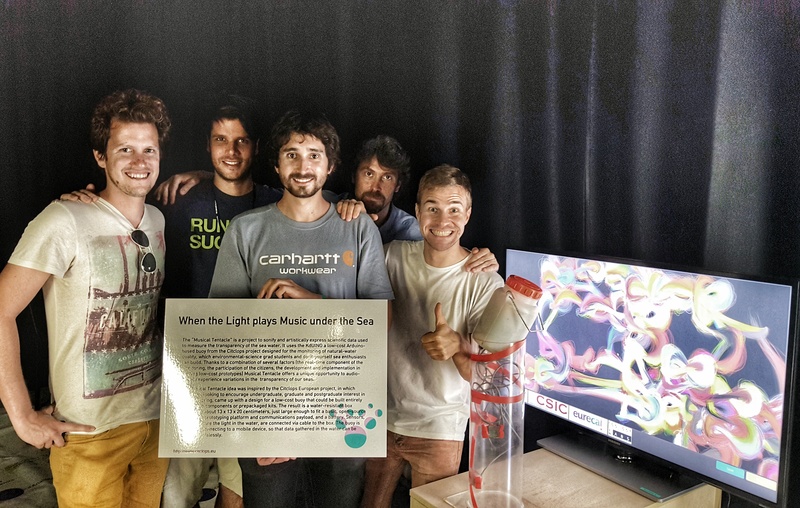 The Musical Tentacle idea was inspired by the Citclops European project, in which scientists, looking to encourage undergraduate, graduate and postgraduate interest in sea monitoring, came up with a design for a low-cost buoy that could be built entirely from cheap components or prepackaged kits. The result is a water-resistant box measuring about 13 x 13 x 20 centimeters, just large enough to fit a basic, open-source electronics prototyping platform and communications payload, and a battery. Sensors, which measure the light in the water, are connected via cable to the box. The buoy is capable of connecting to a mobile device, so that data gathered in the water can be collected wirelessly. 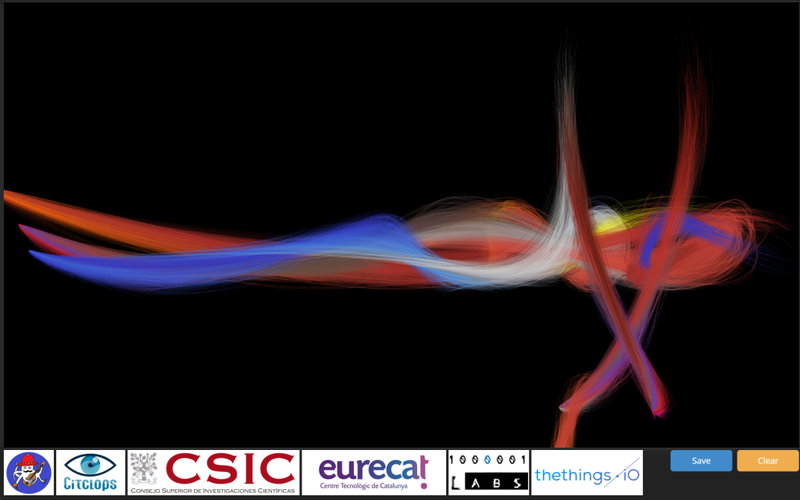 Scientific data are obtained by the KdUINO buoy designed in the citizen science project Citclops [www.citclops.eu]. This buoy can be constructed entirely from readily available and inexpensive electronic-components and kits. 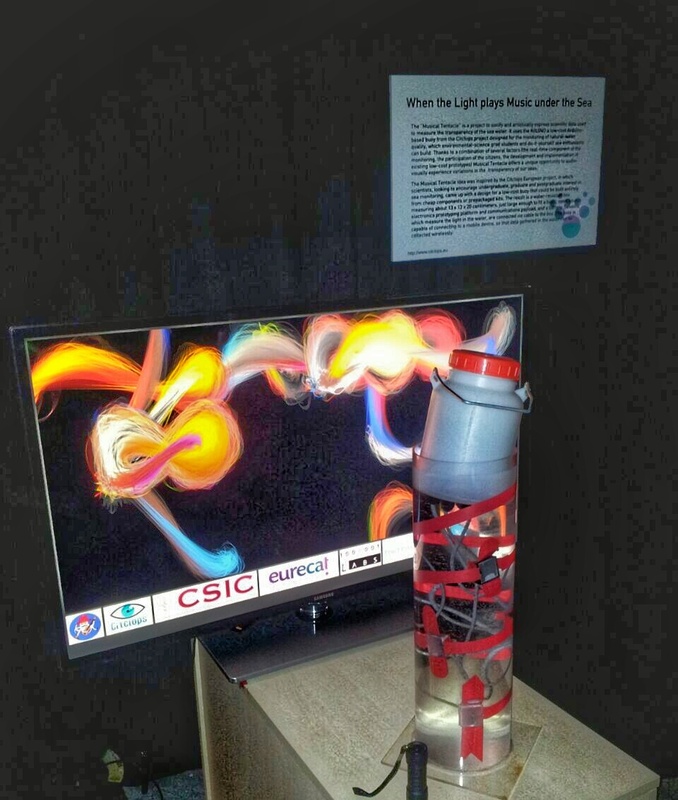 The sensors that measure the light in the water are controlled by an Arduino board, which in turn is able to connect to a mobile device, so that data collected in the water are automatically, wirelessly transmitted. 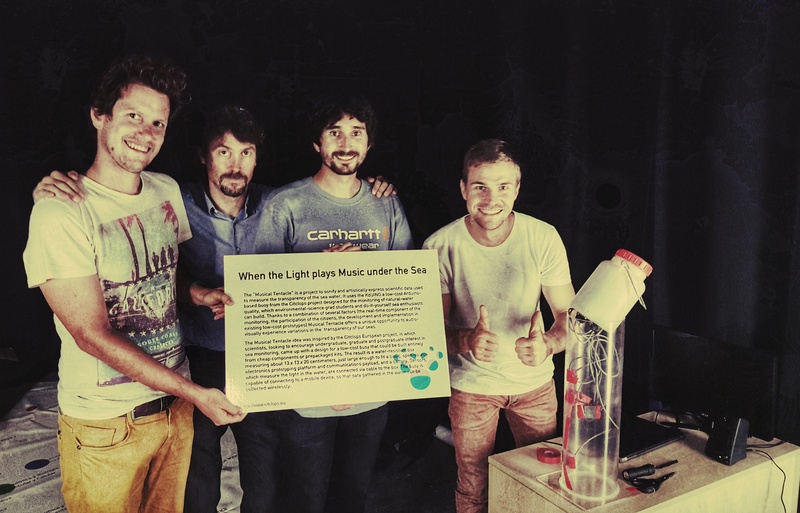 Musical Tentacle uses the sensor measurements and offers a unique opportunity to audio-visually experience variations in the transparency of our seas. 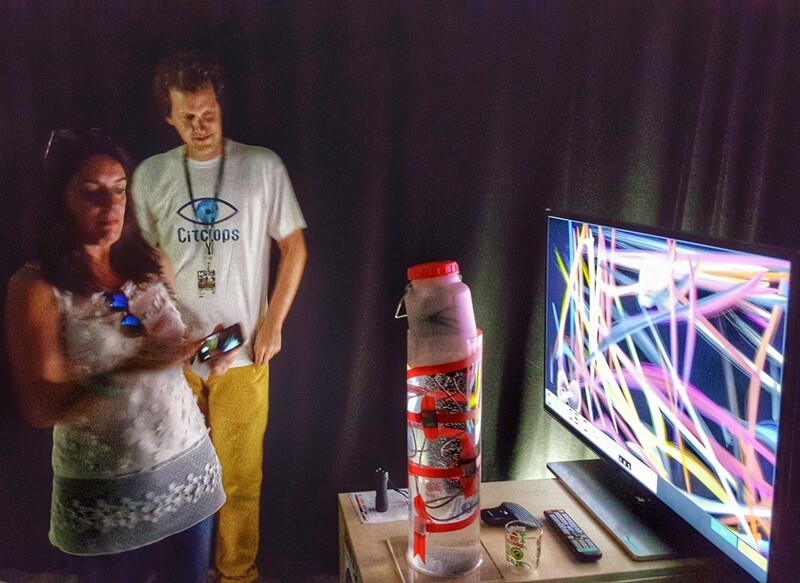 The Musical Tentacle is in the Sónar+D pavilion, inside the “STARTS – European Commission” room. If you have the chance, get close to him and experience the transformation of scientific data into graphic art and music.